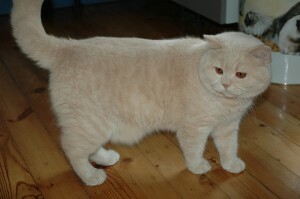 British Shorthair Cats have a vary string muscular body settled on short legs, all covered with short, thick fur. They are intelligent and gently-tempered. Lately, cats have become our favourite domestic animals. Tey are easy to take care of, make hardly any noise, don’t need to be walked and keep theselves clean. Cat’s purring makes our home warm and cosy. Psychologists from the University of Bonn have recently discovered that cat owners proved themselves to live longer and to be happier than other people. There are thousands of superstitions, legends and other strange stories devoted to cats, many of them originating in pagan beliefs. These fascinating creatures won people’s hearts already thousands of years ago. In ancient Egypt, a cat was considered a sacred animal. Later, it was assigned magical powers and exterminated for its alluded collusions with the devil. In the XIX century, zoologists were still treating cats with contempt, due to a belief that they don’t submit to people’s will and if they do, they tend to choose the company of women, contrary to dogs – companions of men. 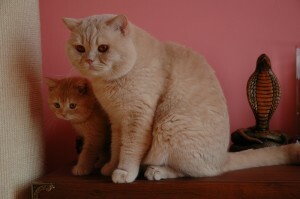 Even today many people treat cats with reserve, regarding them to be false, cunning and malicious, of which none is true. Cats purred on desks of many famous artists, they were loyal friends to statesmen and politicians. In the international literature, a cat is protagonist in various legends, novels and novelettes. Durer, Goya, Renior, Picasso, Manet and many other, famous painters immortalised cats on their canvas. Nowadays, cats live all over the world and have become favourite domestic animals. Real beauties can be admired at numerous exhibitions, and cat enthusiasts enroll to various sicieties and cat clubs.